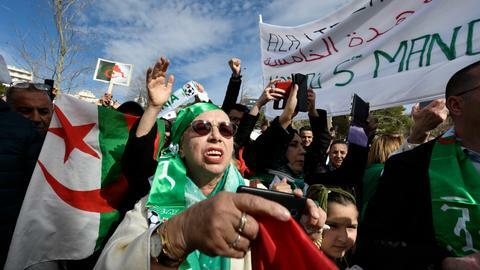 In yet more upheaval for Algeria since the ousting of long-time leader Abdelaziz Bouteflika, the controversial head of the country's Constitutional Council quit on Tuesday bowing to weeks of anger from protesters. Pro-democracy protesters had called for the removal of Tayib Belaiz, saying he is part of a ruling elite they want to abolish. Belaiz submitted his resignation to Interim President Abdelkader Bensalah, state news agency APS reported, citing a statement from the council. Meanwhile, Algeria's army chief Gaed Sala said the military was looking at all options to find a solution to end the country's political crisis as soon as possible. 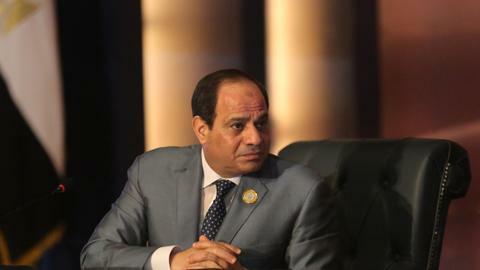 Belaiz's departure could herald that of other senior political figures who protesters want to see removed as mass protests entered the eighth week. The old guard includes Bensalah, who was appointed interim president after Algeria's army chief declared Bouteflika unfit for office and said the military would back a transition period leading to a presidential election on July 4. But protesters want radical change that will introduce sweeping political reforms in Algeria, an OPEC oil producer and a major supplier of natural gas to Europe. No person has emerged as a possible contender to lead the country. Protesters have identified figures such as lawyer and activist Mustapha Bouchachi as their leaders. But it is still not clear what role he could play in politics. In Algiers, thousands of students streamed to the city centre on Tuesday calling for the resignation of Bensalah, witnesses said. Shouting "No to Bensalah," the students waved Algerian flags as hundreds of riot police stood by. The protests, which began on February 22 have been largely peaceful. Thousands of students marched in other cities too such as Bouira, Boumerdes and Tizi Ouzou, according to witnesses. "Our pressure will continue until all demands are met," said 25-year-old student Mourad Dimi. Last week, Salah said he expected to see members of the ruling elite close to Bouteflika prosecuted for corruption and said he would support a transition toward elections. "The head of state and prime minister have no choice but to resign. We will not leave the streets before getting satisfactory responses," said student Djamel Daadi.